A journal is a periodically published, peer-reviewed scholarly article, which serves as a platform for providing material for academic research, reporting new research, and critiquing existing research. The enlisted journals are relevant to scholars in the field of New Media (and Digital Culture) and include digital (electronic) as well as analog publications. The Online Journal of Communication and Media Technologies (OJCMT) is an international open access journal peer-reviewed journal in the field of Communication and its related fields. OJCMT is interested in research not only on Theory and Practice of Communication and Media Studies but also new trends and developments, Communication in Education, Visual Communication and Design, Integrated Marketing Communication and Advertising. OJCMT is published four times a year in January, April, July and October. Each article is reviewed by two blind reviewers from an internationally recognized pool of reviewers. Crossings is a peer-reviewed multidisciplinary academic journal that aims to explore the areas where technology and art intersect. Papers are encouraged on any topic related to art, technology or the philosophical issues raised by attempts to bridge the gap between art and science. Crossings attempts to place a multitude of ideas and observations of the accelerated human society within theoretical frameworks with a longer life expectancy than individual technologies and media fads. Its aim is long-term: to interpret and to generalize, and to make observations that can help understand the world and what it means to be human not only now and in five years but also in fifty years or more. The first American academic journal to examine design history, theory, and criticism, Design Issues provokes inquiry into the cultural and intellectual issues surrounding design. Regular features include theoretical and critical articles by professional and scholarly contributors, extensive book reviews, and illustrations. Special guest-edited issues concentrate on particular themes, such as artificial intelligence, product seminars, design in Asia, and design education. Scholars, students, and professionals in all the design fields are readers of each issue. Design Issues is a peer reviewed journal. 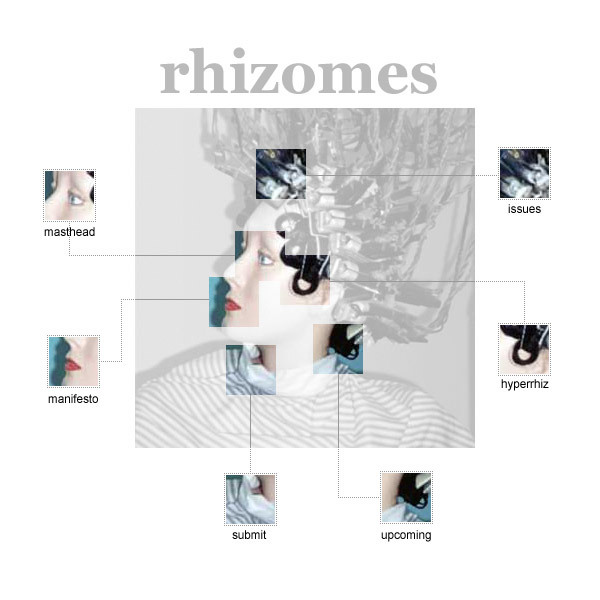 Hyperrhiz provides a forum for experimental new media projects (both critical and creative) located outside or across current disciplinary boundaries. It contains net art, new media scholarship and criticism, and reviews of media-related books or blogs. Leonardo was founded in 1968 in Paris by kinetic artist and astronautical pioneer Frank Malina. Malina saw the need for a journal that would serve as an international channel of communication between artists, with emphasis on the writings of artists who use science and developing technologies in their work. Today, Leonardo is the leading journal for readers interested in the application of contemporary science and technology to the arts. October focuses critical attention on the contemporary arts—film, painting, music, media, photography, performance, sculpture, and literature—and their various contexts of interpretation. It's most downloaded article is “Cinema in the Hands of the People”: Chris Marker, the Medvedkin Group, and the Potential of Militant Film by Trevor Start. It was downloaded 2522 times. 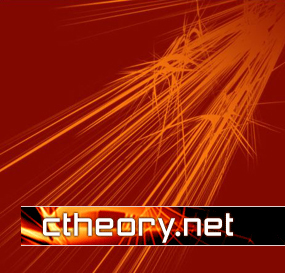 CTHEORY is an international peer-reviewed journal of theory, technology and culture. Articles, interviews, and key book reviews in contemporary discourse are published weekly as well as theorizations of major "event-scenes" in the mediascape. 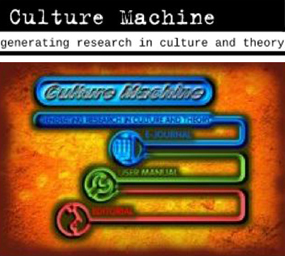 Culture Machine is an international, electronic, open access journal. The aim of Culture Machine is to seek out and promote the most provocative of new work, and analyses of that work, in culture and theory from a diverse range of international authors. It is particularly concerned with promoting research which is engaged in the constitution of new areas of inquiry and the opening of new frontiers of cultural and theoretical activity. Culture Machine has no specific agenda, no project or programme - cultural, theoretical, political, social or ethical - it intends to see worked out in its various manifestations. Digital Culture & Education (DCE) is an international inter-disciplinary peer-reviewed journal. This interactive, open-access web-published journal is for those interested in digital culture and education. The journal is devoted to analyzing the impact of digital culture on identity, education, art, society, culture and narrative within social, political, economic, cultural and historical contexts. The Fibreculture Journal is a peer reviewed international journal, first published in 2003 to explore issues and ideas within the Fibreculture network. The journal encourages critical and speculative interventions in discussions concerning a wide range of topics of interest. These include the social and cultural contexts, philosophy and politics of contemporary media technologies and events. They have a special emphasis on the ongoing social, technical and conceptual transitions involved. Rhizomes: Cultural Studies in Emerging Knowledge is an independent peer-reviewed online journal born at Bowling Green State University. It promotes experimental work located outside current disciplines, work that has no proper location. As our name suggests, works written in the spirit of Deleuzian approaches are welcomed but not required. Linked to Hyperrhiz. Technology and Culture, the journal of the history of technology, draws on scholarship in diverse disciplines to publish insightful pieces intended for general readers as well as specialists. Subscribers include scientists, engineers, anthropologists, sociologists, economists, museum curators, archivists, scholars, librarians, educators, historians, and many others. In addition to scholarly essays, each issue features 30-40 book reviews and reviews of new museum exhibitions. To illuminate important debates and draw attention to specific topics, the journal occasionally publishes thematic issues. 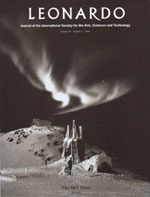 Technology and Culture is the official journal of the Society for the History of Technology (SHOT). M/C Journal was founded (as "M/C - A Journal of Media and Culture") in 1998 as a place of public intellectualism analysing and critiquing the meeting of media and culture. M/C Journal is a fully blind, peer-reviewed academic journal, but is also open to submissions and responses from anyone on the Internet. We take seriously the need to move ideas outward, so that our cultural debates may have some resonance with wider political and cultural interests. Each issue is organised around a one word theme (see our past issues), and is edited by one or two guest editors with a particular interest in that theme. Each issue has a feature article which engages with the theme in some detail, followed by several shorter articles. Information Design Journal (IDJ) is a peer-reviewed international journal that bridges the gap between research and practice in information design. IDJ is a platform for discussing and improving the design, usability, and overall effectiveness of ‘content put into form’ — of verbal and visual messages shaped to meet the needs of particular audiences. The journal offers a forum for sharing ideas about the verbal, visual, and typographic design of print and online documents, multimedia presentations, illustrations, signage, interfaces, maps, quantitative displays, websites, and new media. First published in 1981 to deal with the broad social issues soon to be created by the information age. Now, the Information Society is a key critical forum for leading edge analysis of the impacts, policies, system concepts, and methodologies related to information technologies and changes in society and culture. Some of the key information technologies include computers and telecommunications. Critical Inquiry is an interdisciplinary, peer-reviewed journal devoted to the best critical thought in the arts and humanities. Founded in 1974, it has been called “one of the best known and most influential journals in the world” (Chicago Tribune) and “academe’s most prestigious theory journal” (New York Times). Combining a commitment to rigorous scholarship with a vital concern for dialogue and debate, the journal presents articles by eminent and emerging scholars, critics and artists on a wide variety of issues in contemporary criticism and culture. Digital Humanities Quarterly (DHQ) is an open-access, peer-reviewed, digital journal covering all aspects of digital media in the humanities. DHQ is also a community experiment in journal publication, with a commitment to experimenting with publication formats and the rhetoric of digital authoring. DHQ is committed to co-publishing articles with Literary and Linguistic Computing in ways that straddle the print/digital divide. DHQ is using open standards to deliver journal content. DHQ is developing translation services and multilingual reviewing in keeping with the strongly international character of ADHO. DHQ publishes a wide range of peer-reviewed materials, including: scholarly articles, editorials and provocative opinion pieces, experiments in interactive media, reviews of books, websites, new media art installations, digital humanities systems and tools. Materials published in DHQ appear in the Preview area as soon as they are ready, with announcements marking the release of each new issue, roughly at quarterly intervals. NMEDIAC publishes peer-reviewed papers and audiovisual pieces that contextualize the environments, discourses, ideologies, and human experiences/uses of new media technologies. NMEDIAC provides an intellectual canvas where the cultural spaces and experiences of new media are theorized and rigorously explored within both global and local contingencies of the present and past. In particular, we publish articles that attempt inter- and intra-disciplinary research of new media texts and technologies. Works that incorporate either or both humanities and social science approaches to scholarship are welcome. Arab Media & Society is covering all forms of media and their interaction with society-at-large, from politics and business to culture and religion, as well as the way in which Arab media change resonates in the broader Muslim world. In addition to tracing developments in Arab media outlets and technologies, the journal is also concerned with the changing content of media in the Middle East. Their articles address both the producers of media content (journalists, media professionals, celebrities) and the consumers of that content (audiences), as well as considering relationships between the two. The International Journal of Learning and Media (IJLM) is devoted to the examination of the changing relationships between learning and media across a wide range of forms and settings. The focus is particularly on young people. IJLM is especially interested in the broader social and cultural dimensions of these issues and in new and emerging media technologies, forms, and practices. The Journal of Educational Technology and Society seeks academic articles on the issues affecting the developers of educational systems and educators who implement and manage such systems. The aim is to help them better understand each other's role in the overall process of education and how they may support each other. Computers in Human Behavior is a scholarly journal dedicated to examining the use of computers from a psychological perspective. Original theoretical works, research reports, literature reviews, software reviews, book reviews and announcements are published. The journal addresses both the use of computers in psychology, psychiatry and related disciplines as well as the psychological impact of computer use on individuals, groups and society. Convergence is a quarterly, peer-reviewed academic journal that publishes leading research addressing the creative, social, political and pedagogical issues raised by the advent of new media technologies. It provides an international, interdisciplinary forum for research exploring the reception, consumption and impact of new media technologies in domestic, public and educational contexts. Identity in the Information Society (IDIS) is an international, multidisciplinary journal that promotes the study of identity in the information society. Identity is now a key issue for citizens, business and state. The journal explores the developing relationships between identity, security and privacy in an information-intensive society that in the name of security, better marketing or more efficient delivery of goods and services relentlessly tracks physical persons, their financial transactions, and their health. Articles range across research, practice, current issues and debates. New Media & Society is a top-ranked, peer-reviewed, international journal that publishes key research from communication, media and cultural studies, as well as sociology, geography, anthropology, economics, the political and information sciences and the humanities. It is committed to high-quality research that explores the relationship between theory, policy and practice. Begun in April 1999. Social Science Computer Review (SSCR) is an interdisciplinary journal covering social science instructional and research applications of computing, as well as societal impacts of information technology. Published quarterly, topics include: artificial intelligence, business, computational social science theory, computer-assisted survey research, computer-based qualitative analysis, computer simulation, economic modelling, electronic modelling, electronic publishing, geographic information systems, instructional media, instrumentation and research tools, public administration, social impacts of computing and telecommunications, software evaluation, and world-wide web resources for social scientists. Surveillance & Society invites work on any aspect of surveillance in contemporary societies from all academic disciplines and beyond. Main focusses: publish innovative and transdisciplinary work on surveillance; encourage understanding of approaches to surveillance in different academic disciplines; promote understanding of surveillance in wider society; encourage policy and political debate about surveillance. Configurations is the only journal devoted to the study of the discourse pertaining to the theories and practices of science, technology, and medicine. The journal explores the relations of literature and the arts to the sciences and technology. Digital Studies is a refereed academic journal in digital humanities. 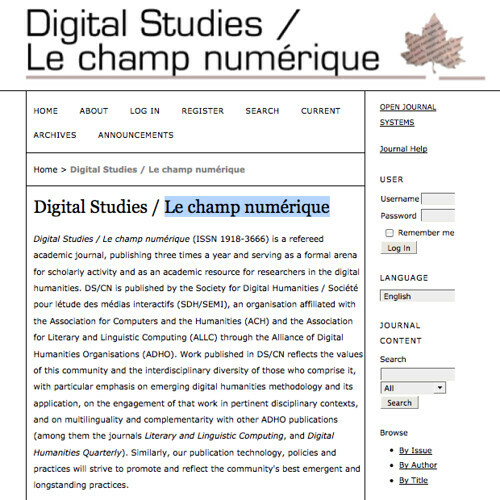 DS/CN is published by the Society for Digital Humanities / Société pour l'étude des médias interactifs (SDH/SEMI), a partner in the Alliance of Digital Humanities Organisations (ADHO). It was founded in 2008 at the Electronic Textual Cultures Lab, University of Victoria. First Monday is one of the first openly accessible, peer–reviewed journals on the Internet, solely devoted to the Internet. Since its start in May 1996, First Monday has published 1,183 papers in 191 issues, written by 1,554 different authors. In addition, nine special issues have appeared. The most recent special issue was entitled "The digital habitat -- Rethinking experience and social practice" edited by Jannis Kallinikos, Giovan Francesco Lanzara and Bonnie Nardi.